"yes and his heart was going like mad and yes I said yes I will Yes." The triumph of the "yes" vote in Friday's gay marriage referendum in Ireland is another nail in the coffin of the power of the church in Ireland. The Catholic Church vehemently urged its parishioners to vote "no" to gay marriage but the parishioners didn't listen and the yes vote won by a comfortable margin. 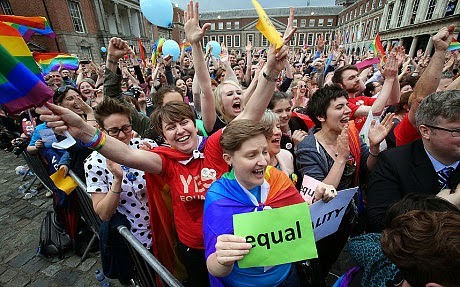 Ireland is the only country in the world where gay marriage has become law by a popular vote in a plebiscite rather than by a vote from parliamentarians or a diktat imposed by a Supreme Court. In the Name of the Most Holy Trinity, from Whom is all authority and to Whom, as our final end, all actions both of men and States must be referred We, the people of Éire, Humbly acknowledging all our obligations to our Divine Lord, Jesus Christ, Who sustained our fathers through centuries of trial. I wonder what would happen if a referendum on gay marriage were held in Northern Ireland? I think the politicians on all sides might be surprised by the results. There is some evidence that in the quiet privacy of the ballot booth the people might vote yes despite the Biblical rantings and ravings of their elected representatives. The population of Ireland is getting younger and young people have no truck with this kind of nonsense. The theocrats and Biblical literalists are on their way out. Plug Alert. 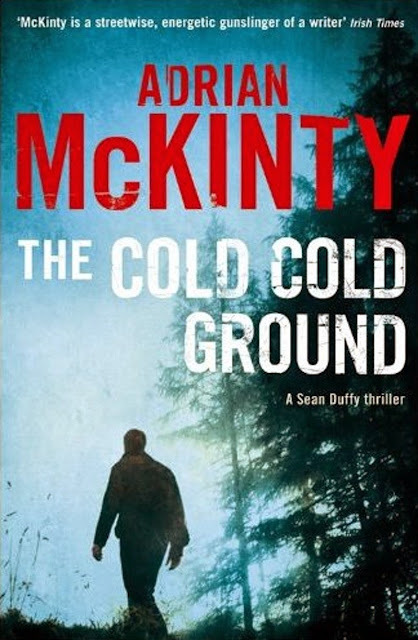 You only have to read my, ahem, award winning novel, The Cold Cold Ground, set in the nightmare year of 1981 when homosexuality was punishable by 3 years imprisonment to see how far we have come since then. Ireland is marching into the future and there's not much the people in silly hats (mitre, bowler or beret) can do to stop it.